Marian Goodman Gallery is very pleased to present an exhibition of new work by Pierre Huyghe. The exhibition will feature Huyghe's 2004 film, This is Not a Time for Dreaming , which will be on view from Tuesday March 7 th through Saturday, April 8 th , 2006. This is Not a Time for Dreaming (super 16mm film, 24 minutes, color, sound) originated as the central cinematic event within an ambitious project exploring the creation of Le Corbusier's one and only building in North America. The film is a portrait of a situation and is constituted by the build-up of an organism, of which architecture is only one component. Huyghe moves in and out, around the entire entity and presents us with a story of the relationship of the artist to a given context. 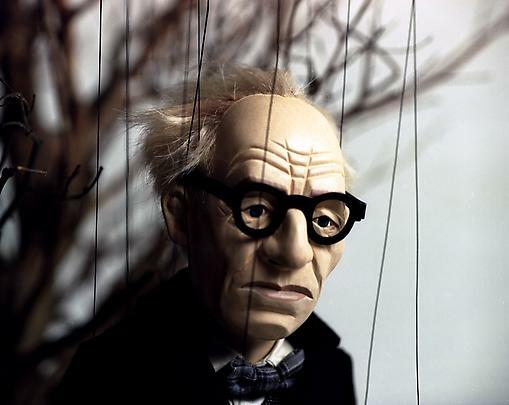 The film is based on a puppet musical which fuses the fantastical and historical, transforming a process of historical research into a reconfiguration of the present, and featuring musical compositions by Iannis Xenakis and Edgard Varese, who collaborated with Le Corbusier on a pavilion for the 1958 Brussels World Exhibition. 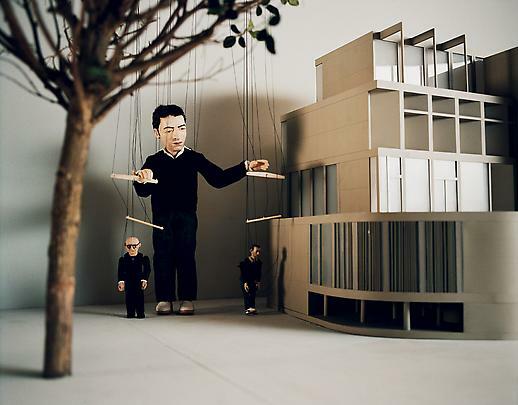 Conceptually relevant to a whole history of Huyghe's work which has addressed narrative structure, temporal process and conditions of representation and interpretation, the film This is Not A Time for Dreaming goes beyond the story of the construction of Le Corbusier's building --the Carpenter Center for the Visual Arts at Harvard -- to highlight the choices involved in its creation, the complex conditions of its production, and the relevance to the artist's parallel process of exhibition-making itself . 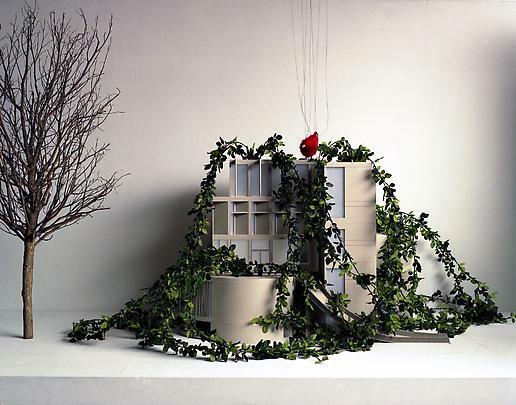 This is Not a Time for Dreaming was first shown in the Fall of 2004 at the Sert Gallery, Carpenter Center, Harvard, in conjunction with the 40 th anniversary of Le Corbusier's building, and was curated by Linda Norden and Scott Rothkopf. 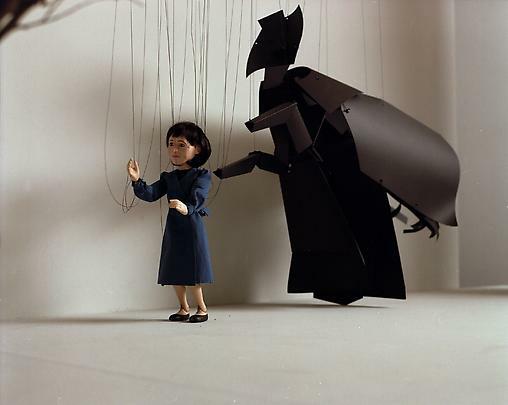 The film was shown within a real-time context: a live puppet-opera featuring marionettes of the noted architect and other key figures, and played on the opening day. 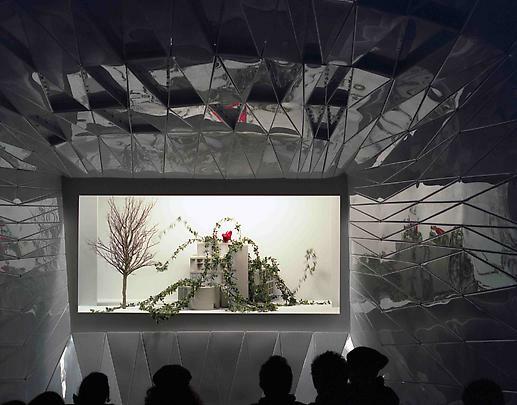 Situated and staged within the temporary architectural extension to the Carpenter Center, which transformed the building's exterior court -- a site designed by Huyghe in collaboration with Michael Meredith and students from the Harvard Design School -- Huyghe filmed the theatrical event to create the film that is on view in the current exhibition. Pierre Huyghe was born in Paris in 1962, and attended the École Nationale Supérieure des Arts Décoratifs, Paris (1982-85). He is well known for a body of work which has addressed the territory between reality and fiction and the structures of organization and production, and has ranged in format from film, video, and architecture to billboards, magazines, tv, to public interventions, events, and hybrid collective projects that go beyond institutional borders. 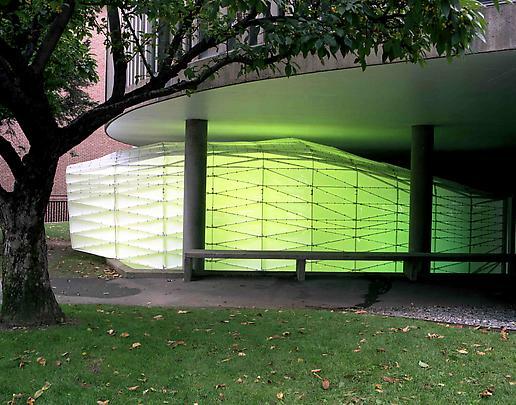 In 2002 he won the Hugo Boss Prize, Solomon R. Guggenheim Museum, New York. In 2001 he received the Special Award, Jury of the Venice Biennale, and in 1999-2000 he was Artist in Residence at DAAD, Berlin. Important presentations of his work this year include: a solo show titled Celebration Park , organized in two parts at ARC, Musee d'Art Moderne de la Ville de Paris. Part One: Prologue just opened in early February and will run through February 26 th ; the main exhibition will be on view from March 10 th to April 23 rd , 2006. Double Negative , Wollman Ice Rink, Central Park, an event of The Public Art Fund, New York, took place in October 2005, and was a contributing element in the recently completed film, A Journey that Wasn't, which will premiere at this year's Whitney Biennial and will be on view at the Whitney Museum of American Art from March 2 nd through May 28 th . Forthcoming projects include a one-man exhibition scheduled to open at the Tate Modern, London on July 5 th which will be on view through September 2006. 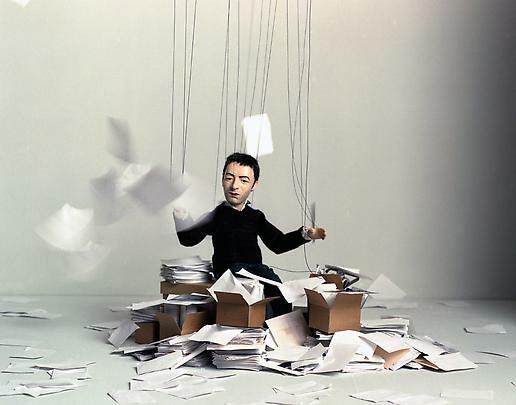 Pierre Huyghe has exhibited widely internationally. Over the past five years one-man shows have been held at: Irish Museum of Modern Art, Dublin and Moderna Museet, Stockholm (2005); Castello di Rivoli, Rivoli-Torino(2004); Modern Art Museum of Fort Worth, Texas (2004); Dia Center for the Arts (2003); Solomon R. Guggenheim Museum, New York (2003); Kunsthaus Bregenz (2002); Stedeljik Van Abbemuseum (2001); and Musee d'art contemporain, Montreal; Kunsthalle Zurich; Centre Pompidou, Paris; Museum of Contemporary Art, Chicago and Renaissance Society, Chicago (all 2000). Group shows include Ecstasy: In and About Altered States at MoCA, Los Angeles (2005-2006);the Lyon Biennale, Lyon, France (2005); Faces in the Crowd, Whitechapel Art Gallery, London (2004); Utopia Station , Venice Bienale (2003); and Documenta 11, Kassel (2002).